After trying its hand at BBM Desktop in the latest BlackBerry Messenger beta releases, the Canadian company plans to launch a more stable version in the not so distant future. In a post on its website, BlackBerry thoroughly explains what BBM users will get in the next update, and the highlight is BBM Desktop beta. View broadcast messages from Channels they subscribe to. If you're not among the selected Android users to receive BBM Desktop beta and be able to extend the chat to the desktop, rest assured that BlackBerry will release the full version to everyone soon afterward. 15 years ago.... This would be a breaking news.... Now, it just too late. BB should focus their energy on something else. Almost nothing in smartphone world is consider “breaking news” anymore. It plateau now. If you read actual source article and know about who run this end of BBM, you would know that this come from Emtek, who run BBM Consumer. BlackBerry already focus on other thing, not consumer side of BBM. 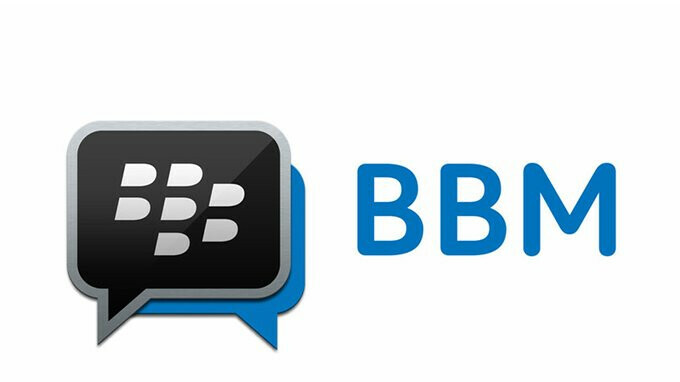 This is good feature for BBM Consumer. This is good. It will add a way to use BBM outside of mobile phone, but allow you to pick up where you left off. Reading through the comments made by hipsters still living in mid 2000s never cease to amuse me! Most of their comments are hilarious! Unintentionally, I believe. Ah! Blackberry articles here are just goldmines as long as you don't get into the fray as things can get real ugly real fast! G'Day! Disclaimer: The views, thoughts, and opinions expressed in the preceeding text belong solely to the author Mr. GreenMan who bears no ill-will to RIM, Blackberry, Chen, TCL and BBM. Anyone that is born in prehistoric time of dinosaur and act like drunk hobo should not talk about hipster and mid 2000. Since BBM migrate to cloud now there will be more frequent update to add new and exciting feature like this. As my know,the factory have stop product,is it right?